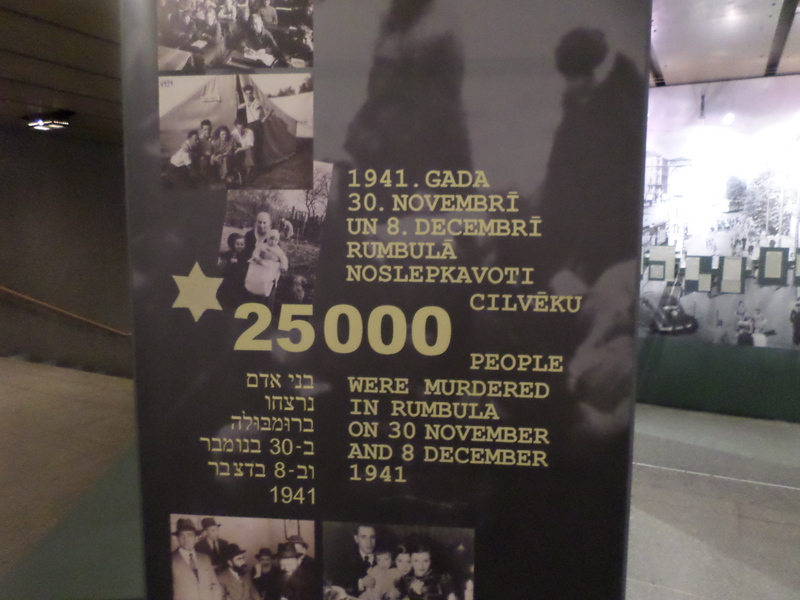 Holocaust Remembrance Day was Saturday. People had posted a variety of stories in relation to this day. I can never forget my visit to Dachau concentration camp outside of Munich, Germany. It is a disturbing place to go. And a reminder of the evil that lurks in the hearts of humanity and what it is capable of doing. But atrocities don’t start at the concentration camp. If that were the case, then I’m willing to bet that six million Jews along with thousands of others would not have died at the hands of the Nazis and who knows how many would have died at the hands of the Communists. Rather, atrocities start with slogans. They start with fear. They start with anger. They start with words. The words contain meaning and lead to actions. They start with ideas from “leaders.” Fear of the “other” – anyone different from the rest. Different because of skin color, country of origin, language, religious practice, sexual orientation and more. These leaders play off of people’s fears and give them slogans that are meant to comfort. There is a focus on us first. Things are said much like “We need to take care of our own.” As if there is a difference in people where some should be excluded. Germany First might be another way of saying this. But Germany isn’t unique in this. We’ve had our own share of people who have bought into the idea about Americans always before the foreigner. Reach back into our history and you’ll see the American Party, or more commonly known as the Know Nothing Party. It grew in popularity in the 1850’s and even had members elected to Congress and ran a presidential ticket. With the advent of the Civil War, the party fell apart – members choosing to join either the Republican or Democrat parties based on their view of slavery. But the ideas never really died. The Know Nothings were deeply anti-immigrant and very anti-Roman Catholic. There always needs to be an enemy apparently. And those that hold these ideas seem to have no problem forgetting their own family history of immigration that brought them to America. Apparently history starts when a person is born and ends when they die. America first is never really about America or Americans. It’s about fear. Fear of anyone who is different – different skin color, different ways to worship and believe about God, different language, different ideas. There are many who can’t handle the differences. The biggest fear is that there are people who won’t comply with the greatest sin humanity has ever brought on itself – the sin of being right. It’s the first sin. The sin of knowing and wanting to be in control. It’s the sin of putting oneself in place of God and making the creator subject to the will of creation. How else can we devolve from deciding who is in and who is out to the point that those who are out aren’t considered human any more. I’m not arguing that those who chant and believe such ideas as America First are Nazis attempting to kill people. What I am suggesting is that we should be really careful. It doesn’t take much for someone to go from America First to dehumanizing anyone who doesn’t fit the mold of what an American is supposed to look, sound, or believe. Better still, instead of America first, how about we do something else. How about we say Jesus first? How about Love first? Grace first? Forgiveness first? How about we set our idols down – the idols of flags, slogans, and ideologies that are hell-bent on being right. How about we remember what humanity is capable of and move away from a destructive path, instead of flirting with it. They don’t look like much. They are maps – maps with the locations of all the concentration and death camps that were in place during World War II. There are many in Germany of course, but also in several other countries, reaching all the way up to Estonia. When you see a map like this, the thought finally comes to you – the horror that you witness at one camp is multiplied by the number of camps that existed. But camps don’t just pop up out of no where. They are just a symptom of evil that was allowed to grow. The Nazis were experts at using propaganda. They used it to support their efforts and to dehumanize their opponents. They were going to make Germany great again. And remove the Jews who were causing problems for the Germans. And they were going to make other countries pay for the insults and problems they faced. Their leaders had no problem telling it like it was – throwing red meat to the mindless crowd who were angry and wanted revenge. Telling specific policy proposals would have stopped the train, so the leaders just talking in abstracts – insulting and dehumanizing opponents. This wasn’t was the first time this type of evil showed up. Nor would it be the last. Oh humanity, why must we re-learn this lesson over and over and over again? Today is part II on my visit to the Museum of Occupation. You can read Part I here. 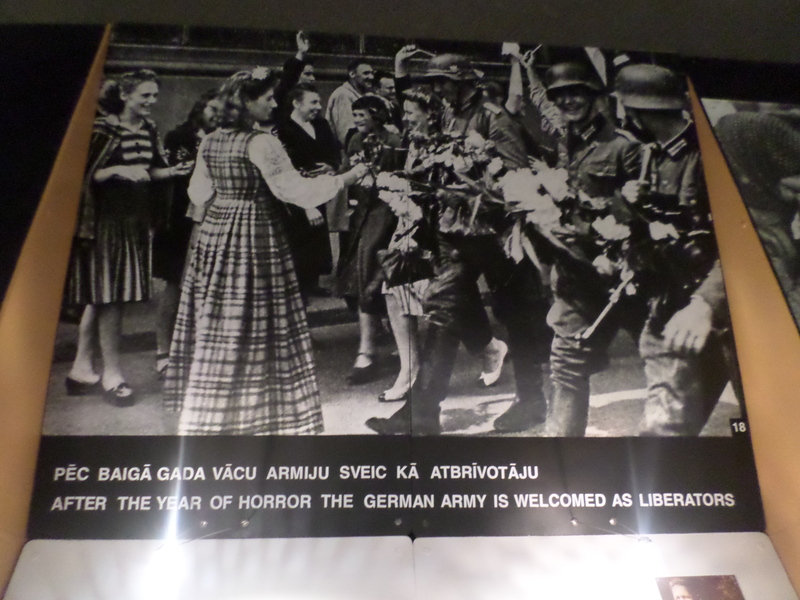 The museum offers visitors a glimpse into what it is like to be occupied. Here it is in a nutshell – it ain’t pretty. 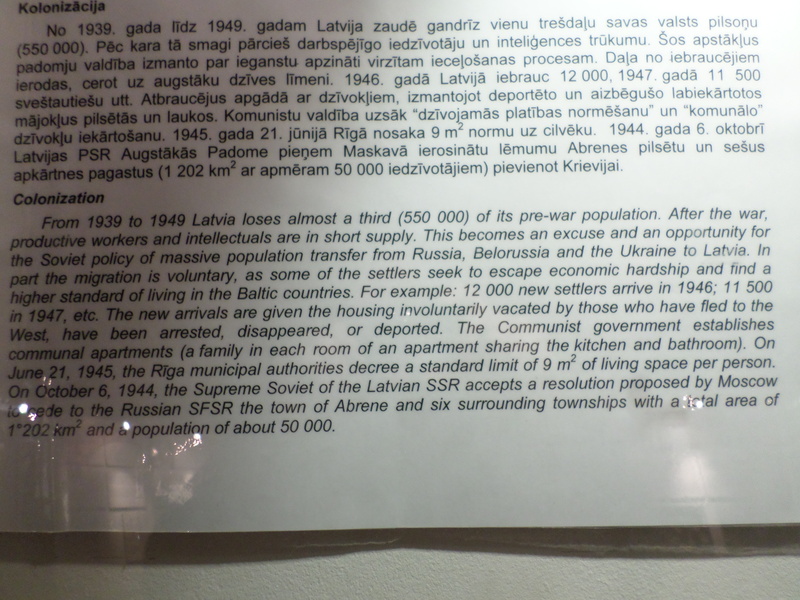 Latvians were first occupied by the Soviets. It didn’t go well. 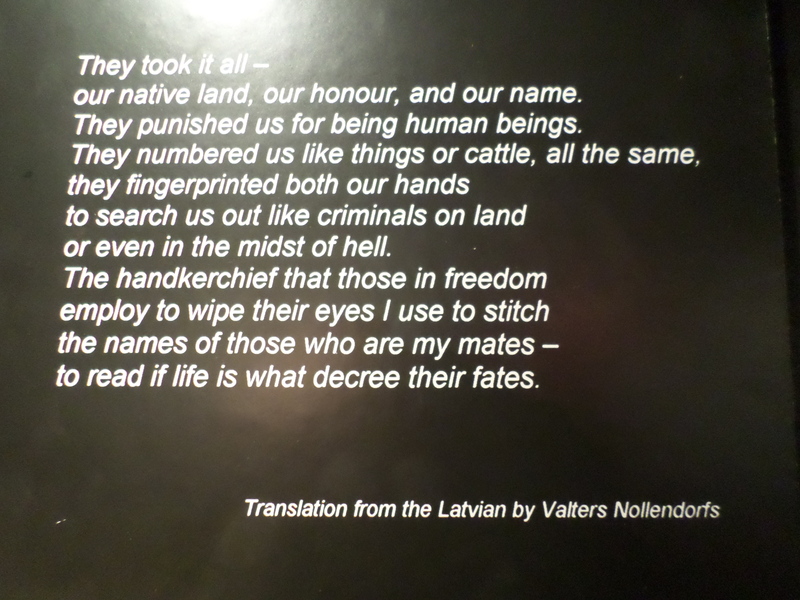 When WWII started and the Nazis conquered the Baltics, many Latvian people cheered. They felt they were given freedom from Soviet occupation. Of course, Nazi occupation didn’t go well either. Occupation is occupation. It never goes well for those occupied. The Soviets returned and continued with their own occupation of Latvia and the Baltics and started what was called Sovietization. This essentially means changing the people, culture, and everything else in an occupied land in foundational ways to be more Soviet like. It means destruction of the people and culture that exists already. It’s extremely damaging. 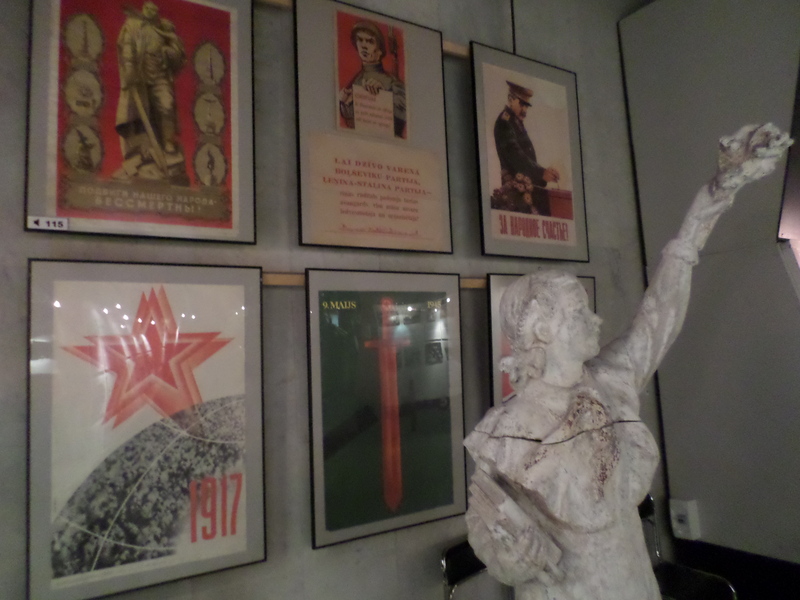 One of the best parts of the museum is the story of this Sovietization. It’s really a story of how to occupy a country and effectively change it. It’s a sad story, but one that I hope we never forget. 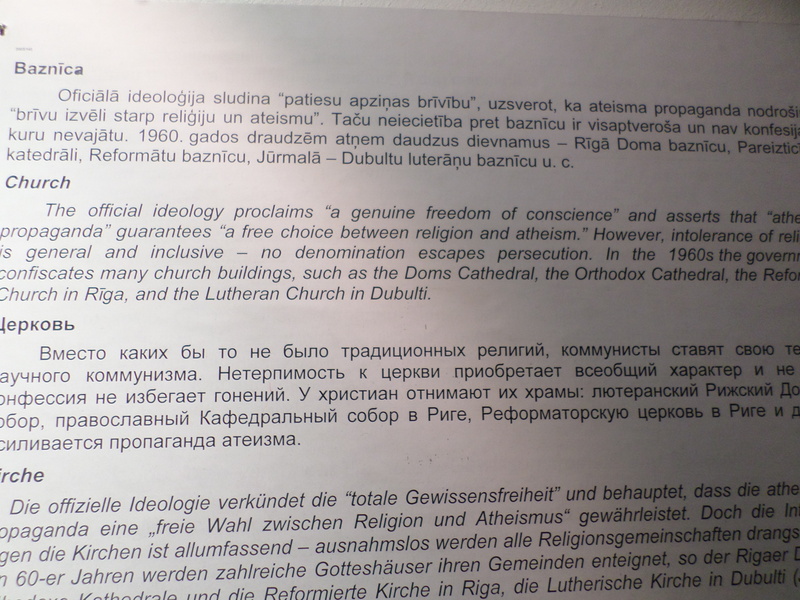 I took a few photos of some of what I thought were interesting panels on how the Soviets changed specific aspects of Latvian culture and people. These are well worth reading. 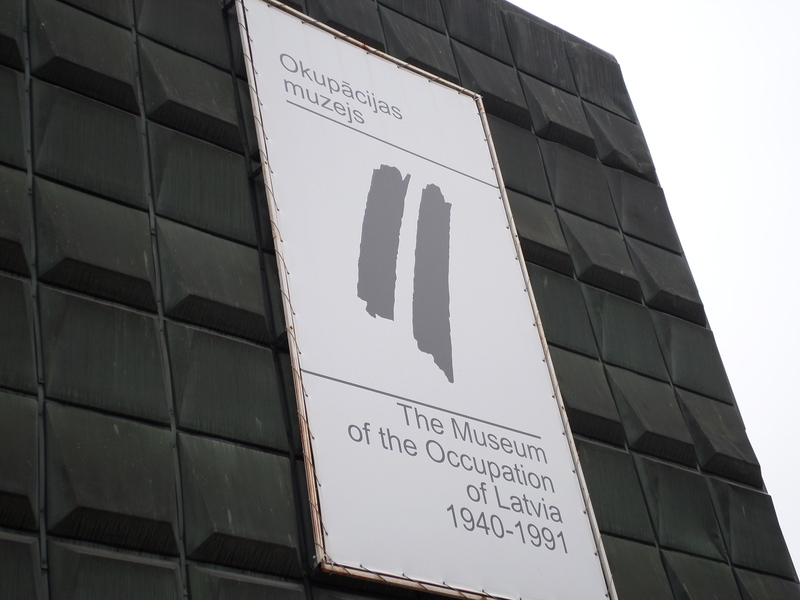 The Museum of Occupation of Latvia was a great way to end my three-day trip to the Latvia and Lithuania. I had an amazing journey there – something I will cherish for my entire life. Up next for the travel portion of the blog – some recent local trips in Finland. 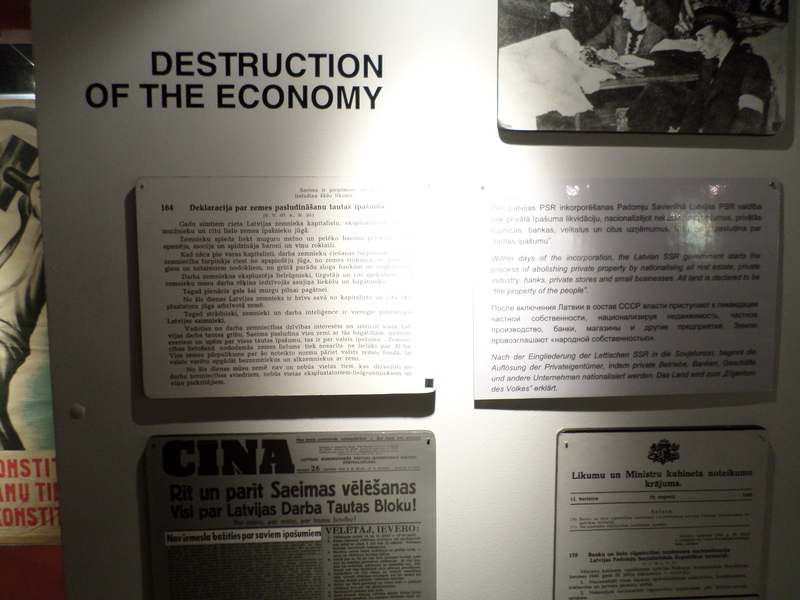 The last stop on my three-day whirlwind trip to Latvia and Lithuania was the Museum of Latvian Occupation in Riga. Besides the Hill of Crosses in Lithuania, this may have been my most favorite stopping point on the trip. The museum is incredible! And another great thing about it – they only ask for a donation for the entrance fee. I was amazed that the suggested donation was 3€. It is well worth it. 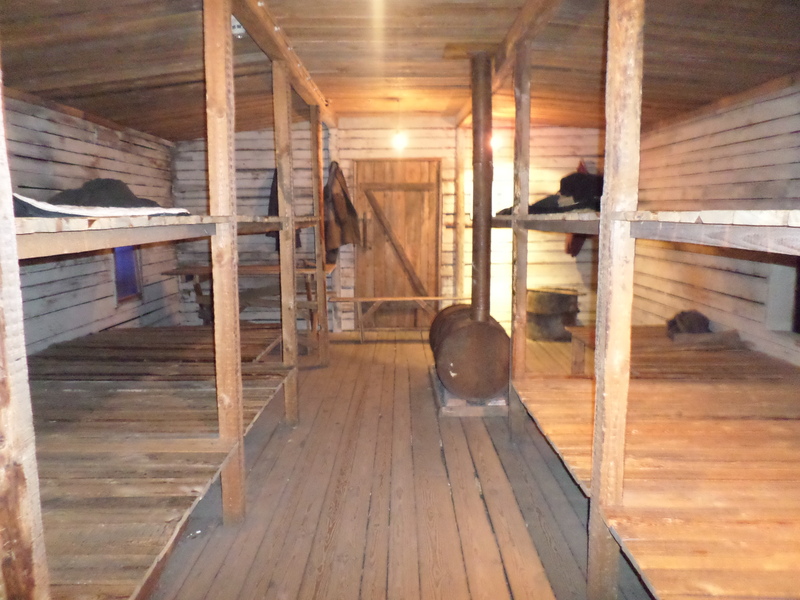 It’s the sleeping quarters of where Jews would be housed at camps. 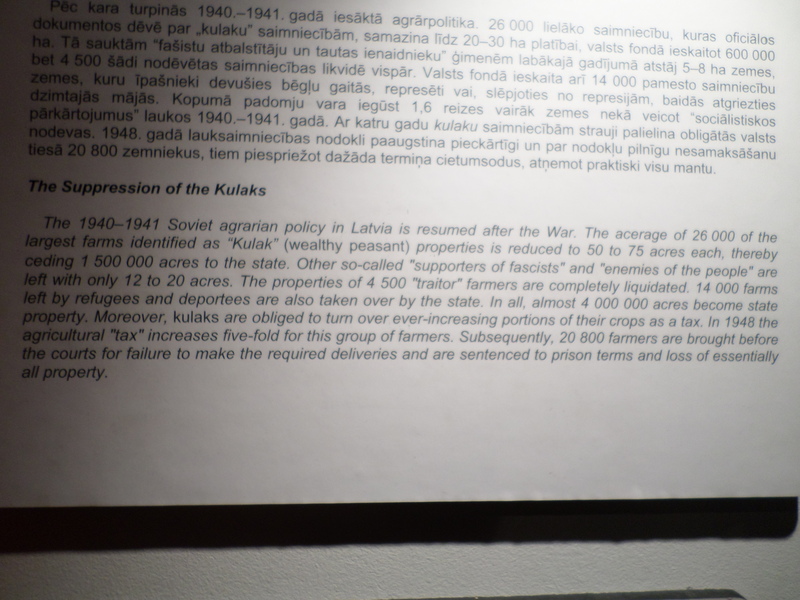 You also learn of the great toll that Latvia paid from being occupied. 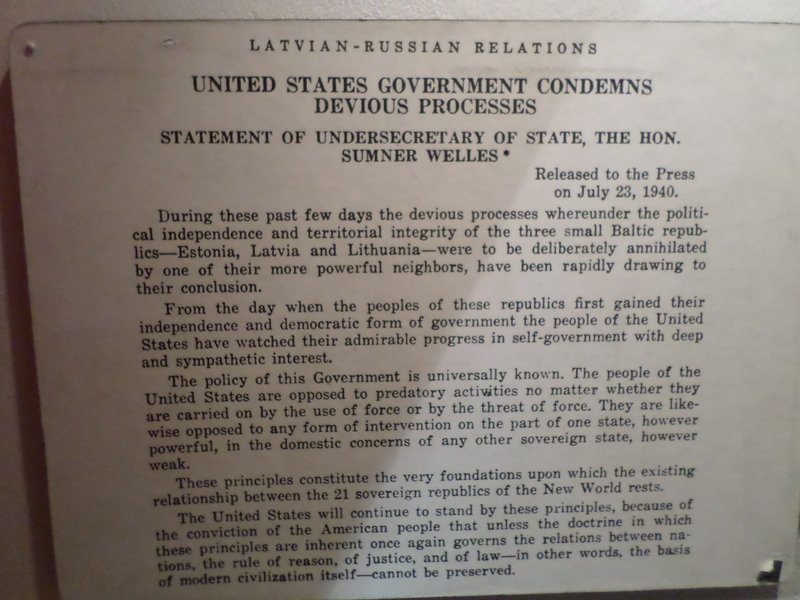 It’s the declaration from US condemning the occupation of Latvia. 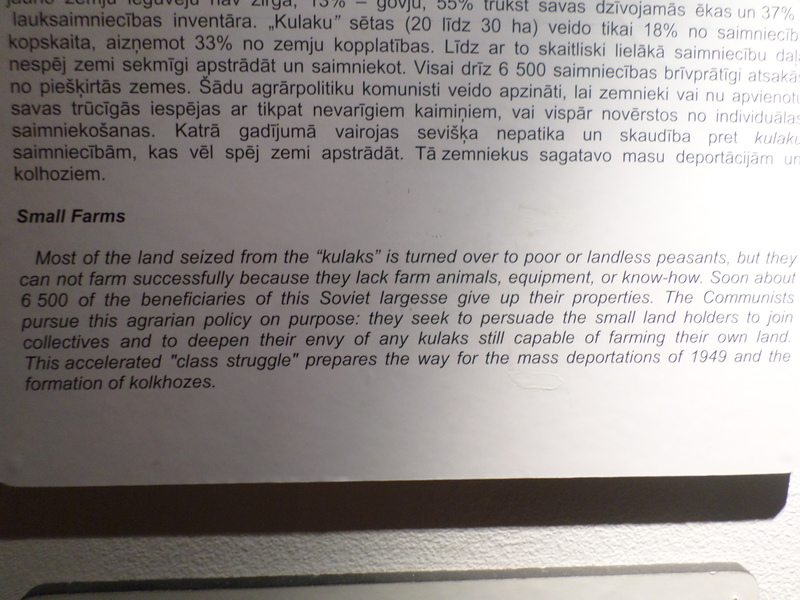 From there, you learn the whole history of Latvian occupation by the Soviets, then the Nazis, then the Soviets again. It’s an incredible story. The museum goes to great lengths to describe how occupation really works. It’s really almost a manual on how to occupy a foreign land and change it. I’ll be posting bits and pieces of this next week. Next travel post – part II of the museum.